Rocket.Chat is an open source project management application that provides teams with a chat solution in the cloud or on-premise. 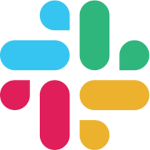 It offers users with solutions for live chat, video and audio conferencing, file sharing, and more. In this article, we cover Rocket.Chat reviews and pricing. Ready to try Rocket.Chat? Get a free trial. 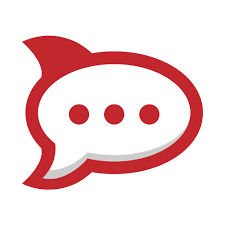 Users who gave Rocket.Chat a positive review liked its intuitive interface. Many users mentioned that it is easy to configure and is customizable. Some also appreciate the audio and video conferencing, screen sharing, as well as the desktop and mobile apps. As of the date this article was written (02/08/2019), there are not a lot of negative Rocket.Chat reviews online. However, some users reported encountering occasional bugs. Others wished for additional features like calendar and contact sharing. One user who gave Rocket.Chat a critical review on G2 Crowd said that she experiences bugs from time to time, particularly with the read messages being marked as unread. She also mentioned that the program sometimes freezes or becomes slow to respond. Rocket.Chat pricing includes Self-Managed plans ($0 to $3+ per user per month) and Cloud subscription packages ($2 to $4+ per user per month). The main differences between the plans include the number of users, storage capacity, as well as the number of integrations available. The open source version is ideal for users with advanced technical experience, while the cloud-based subscription plans are ideal for those without coding knowledge. Ready to try Rocket.Chat? Get a free trial. Yes. Users can cancel their subscription at any time without penalty. They can also continue accessing their workspace until the end of the remaining billing month. Yes. Eligible non-profit organizations and educational institutions can request for discounts. Have you read these Rocket.Chat reviews and are still not sure if it’s the right fit for you? Read our reviews of all top project management software providers or check out one of these three Rocket.Chat alternatives. Rocket.Chat is a great tool for companies and groups of different sizes. It’s inituitive and easy to use, with features like private and public channels, private messages, and a wide range of emojis and gif functions. We use Rocket.Chat for daily communications within my department as well as quick communications with other departments. Can’t think of anything. Rocket.Chat meets all of my current chat needs. Rocket.Chat is an open source tool, which means it’s developed, tested, and secured by a community of developers. As a result, it’s MUCH cheaper than Slack. Wish there was a cheaper plan for even small businesses, like 10 people or less. Would have been nice to see how other professionals in my field are using the software, get ideas for how it can be used beyond what I am thinking of.